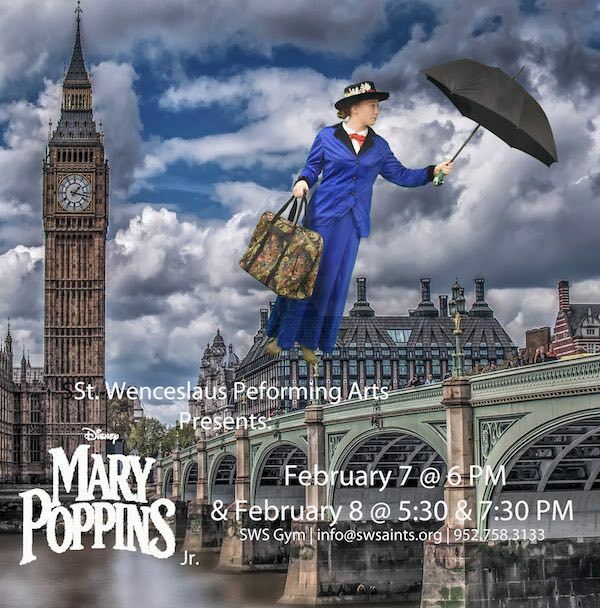 Mary Poppins, Jr. Our 7th and 8th grade students are busy preparing for this play. Performances are February 7 @ 6 PM and February 8 @ 5:30 and 7:30. Call the school office, e-mail info@swsaints.org or see a 7th or 8th grade student for tickets tp this fun show. The students are learning lines, choreography, creating and building the sets, sewing costumes, designing prop parts wtih our 3D printer – they are involved in EVERYTHING!